When hosting events, finding candidates for both paid staff and volunteers for a wide range of jobs can be challenging. Event staff management can become all the more stressful when you’re pressed for time. Shiftboard makes it easy to communicate staff and volunteer openings quickly. Additionally, it’s simple to get candidates signed up and, once they’re hired, onboarded quickly. With Shiftboard, you can manage onboarding. Better onboarding processes will help your team be better prepared to start their shifts, improving staff efficiency. 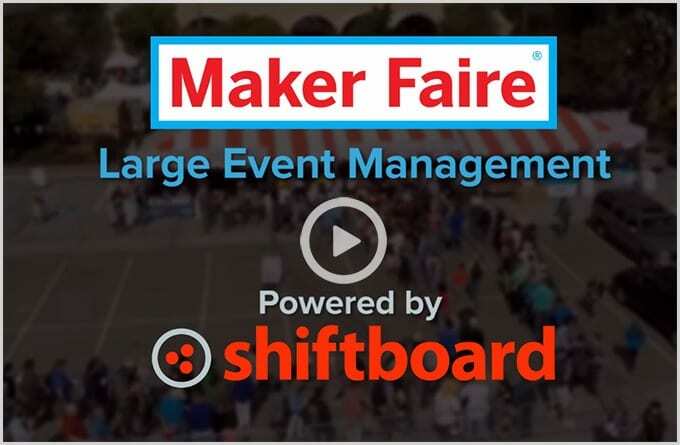 Shiftboard’s event staff scheduling software can help you manage any type of large event. Festival shift management, music venue staffing, trade fair scheduling, and conference planning can all run more smoothly with technology and strategic scheduling. Manually scheduling shifts is one of the most time-consuming and error-prone ways to schedule staff, particularly when it comes to large event staffing. With Shiftboard, event coordinators save time by automating shift creation, managing shift assignments, and responding to last-minute changes. You can assign staff to shifts, or allow them to sign up for their own shifts. Shiftboard’s advanced scheduling logic ensures that people aren’t over-scheduled. This controls overtime and takes into account staff time off and availability. Recruiting went well and you have an army of staff and volunteers to help with everything from security to concessions. However, unless you group people into teams, they’re just a disorganized crowd. 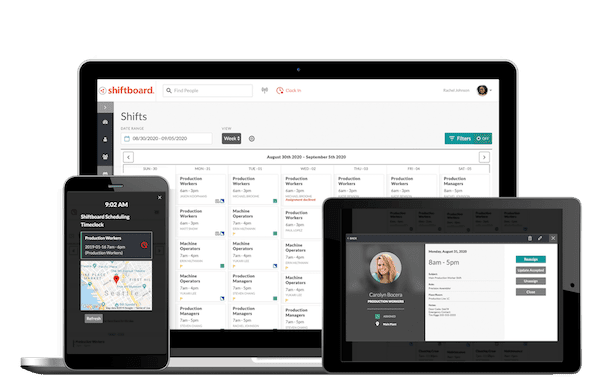 Shiftboard helps you segment your staff and volunteers into logical teams based on factors like role or location, making it easier to schedule and communicate with your workforce. Even the most capable staff and volunteers need training. From volunteers who are checking IDs and managing foot traffic to highly skilled technical staff, you need to make sure that your entire team is fully qualified and prepared for whatever task they are assigned. Shiftboard helps ensure that each member of your workforce has completed the required training to work safely and efficiently day-of. 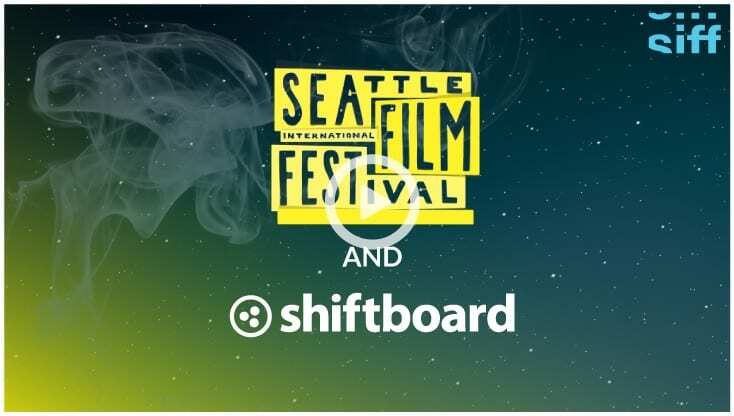 Applicant Screening — Gather all the information you need to efficiently screen event staff candidates with Shiftboard’s online registration page. From there, establish a workflow to review and approve candidates. Shiftboard makes it easy to gather and track every detail, no matter how large your workforce. Gated Onboarding Workflow — Track whether new event staff have completed important steps like orientation, training, and credential verification before they are considered ready for scheduling. Shiftboard allows you to stay on top or you employee onboarding every step of the way. Crew & Team Segmentation — When managing hundreds or thousands of event staff and volunteers, organization is key. With Shiftboard, you can segment by job or role, such as ticket takers, set-up crews, concessions, emergency healthcare staff. Alternatively, you can segment by specific venues or locations within a venue. It’s also possible to create teams that take a combination of these factors into account. However you divide your workforce, Shiftboard allows you to group the right people together to schedule, communicate, and report accordingly. Flexible Formats — Whether you want event managers to assign people to shifts, allow staff to choose their own shifts, or a mix of both, Shiftboard enables you to tailor the ideal scheduling approach to match your needs. Auto Shift Assignment — Manually matching people with positions is tedious, time-consuming, and error prone. Shiftboard does the heavily lifting by providing auto-assignment based upon the scheduling rules you determine. Auto-assign by team, location, or your entire staff. Additionally, manual assignment is always available and can be used in tandem with auto-scheduling for more control. Shift Trading — Life is chaotic, schedules change, and no-shows happen. Shiftboard provides real-time access to volunteer and staff schedules. Remove the burden of having managers facilitate shift trades by allowing your volunteers and staff to shift trade directly with one another. Shiftboard makes it easy to trade shifts while allowing manager oversight. Broadcast Emails — Whether communicating to a particular crew that their check-in location has changed, or sending a post-event thank you message to the entire team, Shiftboard’s broadcast email removes the need for sending multiple individual messages to notify your team of changes and updates. Text Alerts & Shift Confirmation — The perfect companion to email communication, text alerts ensure your staff receive any last-minute changes. It is also an excellent means of accepting and confirming urgent shift assignments. Maps & locations — “Where do I park? Where is the entry gate? Where do I sign in?” These are all questions you might get repeatedly from event staff members. With Shiftboard’s event staff scheduling software, you can use interactive Google Maps to help answer them. Staff and volunteers can easily pinpoint locations and access the address, directions, and details they need. Check-in — Event managers typically want to have visibility into who is currently checked in and who is not. Shiftboard has robust time clock methods, including mobile check-in, QR codes, and interactive voice response systems (IVR). Managers can view who is clocked in, and receive automatic alerts notifying them of potential tardiness or absence, eliminating the need to manually monitor attendance. Vouchers — Event managers need a good way to award and track redemption of food and merchandise vouchers. With Shiftboard, each staff member and volunteer can collect and redeem their vouchers by simply scanning a unique QR code. Voucher reports allow management to track and tally vouchers.